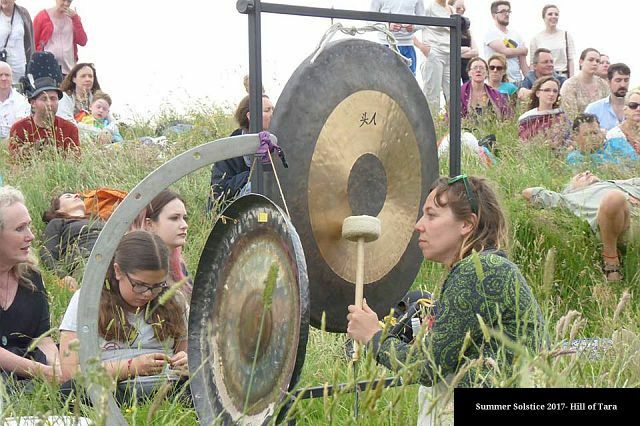 This workshop takes place in beautiful Tara Open Studio(indoor) on Hill of Tara and consist 1h Voice healing session and1h Gong Bath session. The voice healing session will engage every part of your heart, body and soul. It will relax your rational mind, opening your ears , eyes and imagination to the pleasure and benefits of expressing yourself .On the session Marta is using different vocal practices like:Vocal toning,Healing with voice,Balance the chakra with vowels sound,Use the sound voice for meditation,Learn sacred chants from different spiritual traditions. The Gong bath Marta invite you to join us for a deep immersion into Sacred Sound & Vibration.Using Venus planetary gong, Himalayan singing bowls, drums, rattles and a variety of world instruments we produce evocative soundscapes which encourage deep relaxation and meditation whilst restoring positive energy balance for the body, mind & soul.